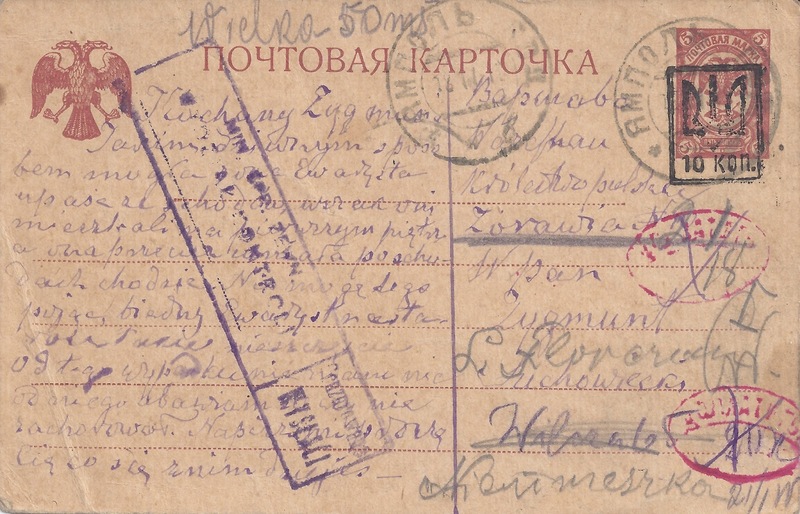 For most or all of 1918 mail abroad from Ukraine could only be sent to a limited range of destinations. Probably 90% goes to Germany, Austria and to areas occupied by German or Austrian troops. At the beginning of the year, after the declaration of Ukrainian Independence, mail still went into Russia and onward transmission to other destinations may have been possible. I cannot show any examples, however. The card above is quite interesting. It was sent from YAMPOL POD[odolia] 18 11 18, the same day as it was written. 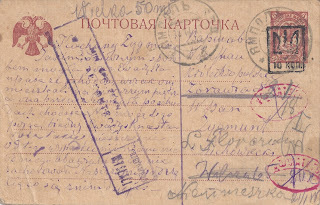 Someone had the idea to charge 20 kopecks Postage Due on this uprated Kerensky card, but the idea seems to have been abandoned - both of the red Postage Due cachets are crossed through in violet ink. Germany signed the Armistice with the Allied powers on 11 11 18, so a week before this card was sent. 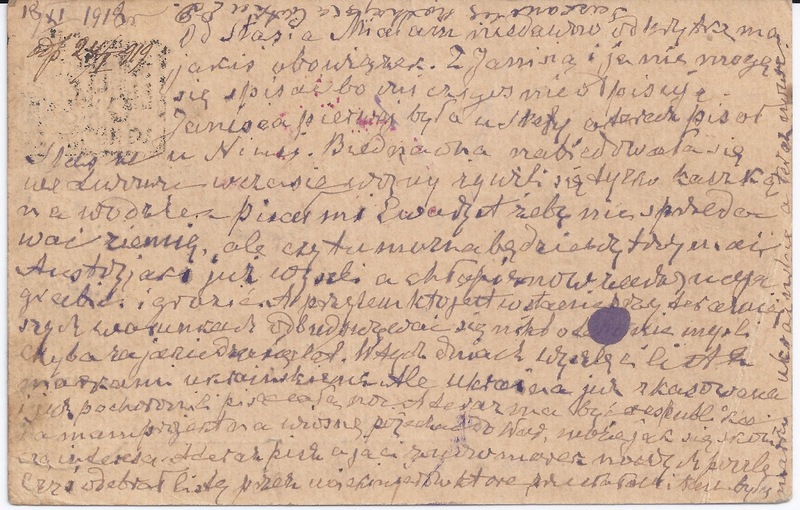 By the time it reached Warsaw - to which it is addressed in Russian and German in the two top lines of the address - the postal system there was under independent Polish control. The boxed violet Censor cachet on the left is in Polish. A very short time before, German Censor marks would have been applied to cards arriving from Ukraine. 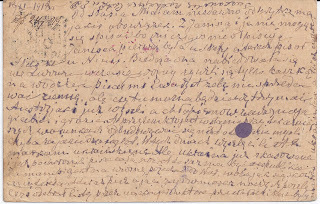 On the reverse of the card, top left, is a note which indicates that this card was either received or replied to on 24 January 1919. The long message might be worth translation.